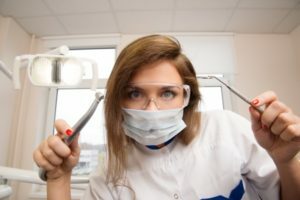 How Can I Ease my Dental Anxiety? If you suffer from dental anxiety, the worst thing you can do is nothing. Be proactive by following the advice outlined below and your oral health will benefit. The tips provided in this article really do have the potential to save your teeth and save you plenty of money. Timely dental treatments performed every six months prove much less expensive than major restorations following years of neglect. Do not keep your dental anxiety a secret from your dentist. Speak with your dentist about your fear or nervousness and he or she will help in a number of different ways. For one, the dentist will create a signaling system you can use to request a pause in the procedure or another form of assistance. The dentist will also educate you about the procedure or treatment in question so you have a full understanding of what is happening in your mouth. In some situations, such an improved understanding makes it that much easier to undergo the treatment/procedure without an overpowering fear or drama. The dentist might even suggest a medication to make the dental procedure or treatment that much more tolerable. Breathe slowly and with regularity throughout the dental procedure. If you are nervous, you will be that much more inclined to hold your breath. Holding your breath reduces oxygen levels and spikes feelings of panic. Regular and slow breathing decreases stress and ultimately helps you make it through the dental treatment. Put in your earbuds and listen to some soothing music so you do not have to hear the dental drill. Take some time to figure out what time of the morning or afternoon is ideal for your dental appointment. If you are not a morning person, wait until the afternoon for this procedure to be performed. If you are worried waiting until the afternoon will ruin your morning as your mind will be focused on the upcoming treatment, schedule the appointment for early in the morning. Do not consume an abundance of caffeine or sugar prior to your dental appointment. Such foods and beverages will only ramp up your nervousness. Consume foods that are high in protein so you feel relaxed. Furthermore, it is a mistake to drink a considerable amount of fluids prior to the appointment. Reduce your liquid intake so you do not feel the urge to interrupt the procedure to relieve yourself. The dentist you select for your dental treatments or procedures matters a great deal. If you are uncomfortable with the dentist in any way, you will be that much more nervous and fearful. Spend some time vetting dentists and speaking with candidates before settling on one. Once you pinpoint the best dentist, you will no longer dread your appointments. For more information or to schedule an appointment with Des Moines Dental Center, request an appointment in our Des Moines dental office here: https://www.desmoinesdentalcenter.com. Or call us at (206) 408-8541. « What Are the Dangers of Sleep Apnea ?